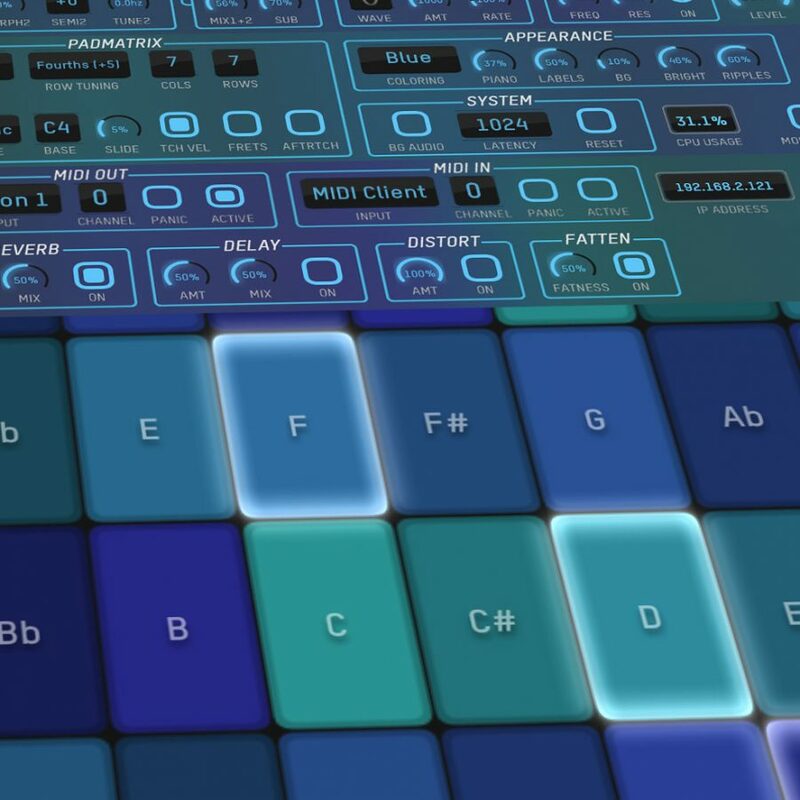 expressionPad is a unique musical instrument and sampler/synthesizer for iPhone and iPad. Continuous pitch control on up to 10 touches. Flexible additive synthesizer including reverb and delay effects. More than fifteen sampled instruments. Configurable hexagon, piano, and matrix key layouts. Control apps on your iOS device or laptop with CoreMIDI. mode of expression specializes in unique and creative software. Founded in 2007 in San Francisco, mode of expression products have ranged from study tools, to music toys, to creative and expressive games. Now based in NYC. More information can be found in our press kit.